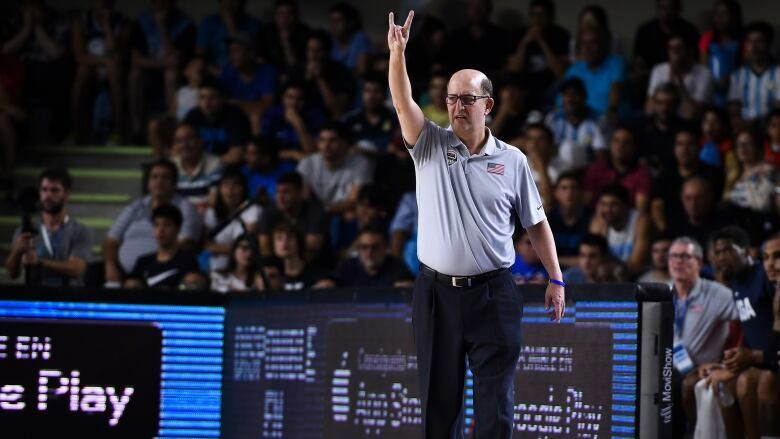 The U.S. rallied late to beat Uruguay 78-70 on Sunday night, a win that clinches a spot for the Americans in next year's FIBA World Cup in China. Jeff Van Gundy did his job. USA Basketball is headed to the World Cup. Uruguay led 61-54 in the fourth, and was still up 65-60 when the game changed. Jenkins' 3-pointer with just under 2 minutes left put the Americans up by four, and Chasson Randle connected on another 3 on the next U.S. possession to cap the burst and give the U.S. a 72-65 edge. LeBron James, Stephen Curry, Kevin Durant, James Harden, Kawhi Leonard, Russell Westbrook and Chris Paul are all among the 35 players in USA Basketball's pool for the World Cup and the 2020 Tokyo Olympics, though it'll likely be months before the Americans know exactly what group they'll be taking to China to play for coach Gregg Popovich. "Jeff has done an amazing job under really difficult circumstances," said Golden State coach Steve Kerr, who will assist Popovich next summer. "To have to qualify during the NBA season is a strange format but Jeff is the right guy for the job and he's proven that. ... It's remarkable, to go ahead and do that without our top-flight players." The 32-team field for next year's World Cup is filling, with eight spots getting grabbed in this window of games to push the total number of qualifying nations so far to 15. Argentina can get in later Sunday as well. The U.S., Australia, France, Angola, New Zealand, Korea, Spain and Turkey qualified in this window of games around the world that started Thursday. They join Czech Republic, Germany, Greece, Lithuania, Nigeria, Tunisia and China — the lone automatic qualifier into the field, a perk that comes with hosting — as the teams that have locked up spots. Canada, Brazil, and Venezuela could also qualify Monday, depending on various outcomes.